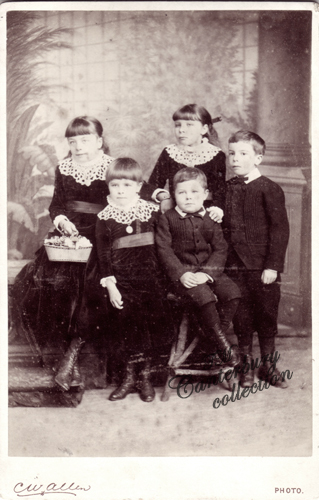 An unnamed photograph from May & Amelia Inge's album supplied by a descendant. 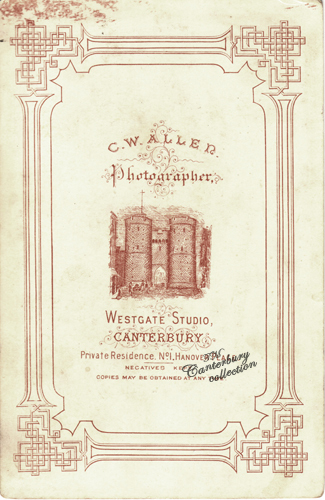 Some of the photographs may date back to the 1860s. 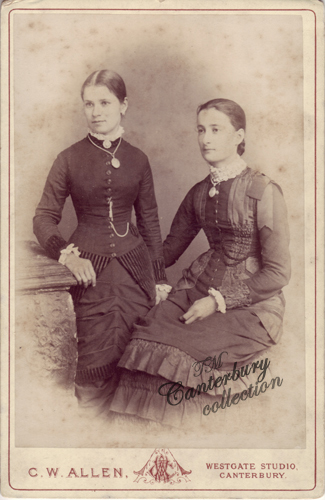 May Inge was a grocer in Canterbury and a Bible thumping Methodist lay preacher. 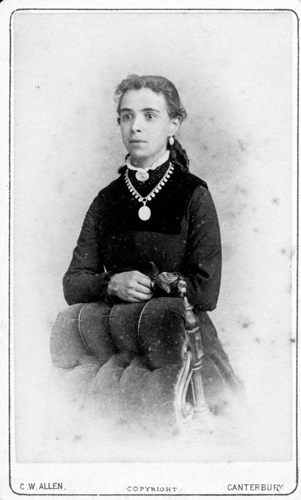 Amelia was John Hobday's daughter. 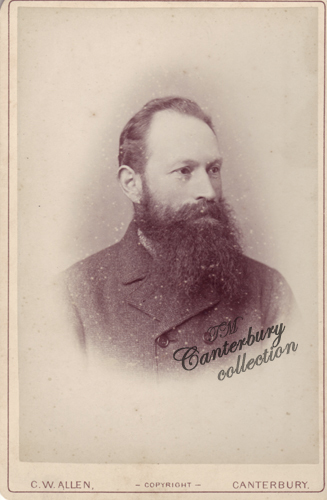 John Hobday was a businessman of many trades. 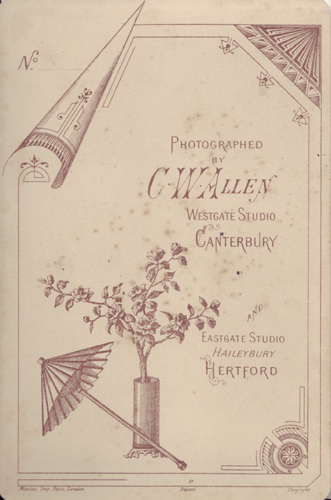 In 1882 an advert described him as a "Cabinet Maker, Upholster, Auctioneer, Appraiser, House Agent, House Decorator, Undertaker, &c., 60 & 61 Palace Street, Canterbury. Contractor for Removal of Furniture in Pantechnicon Vans, by Road or Rail." Born c. 1818 in Hertfordshire, his wife's name is Emma Lucy (nee Parker) b. St. James Middlesex. The couple were married in Australia in 1852. 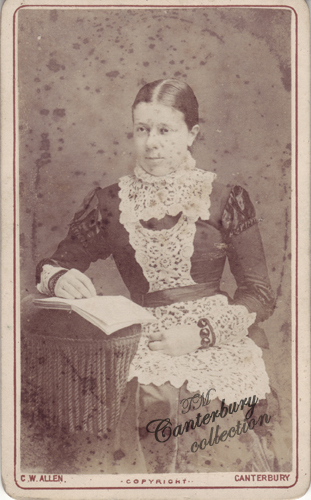 One of their daughters, Adelaide Amelia Allen was born January 28, 1855 in Australia. 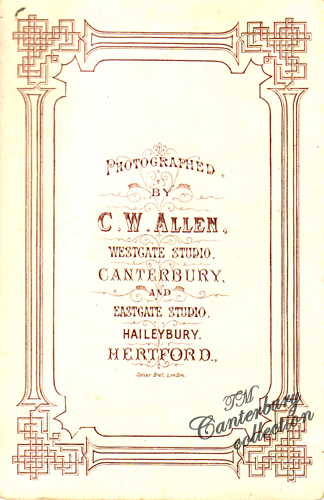 She married Henry Beauchamp Collis who was a photographer in Canterbury. Emma Martin M. Allen, and Roland Allen siblings of Adelaide. The family was living at 49 Beresford Street in Woolwich London in 1871, with no occupation listed for Charles. 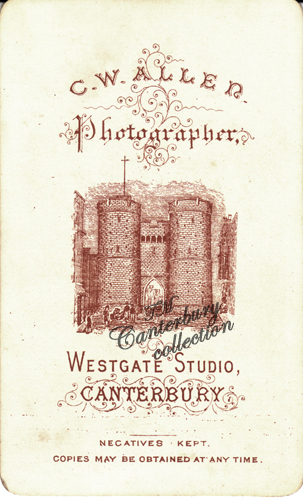 His business is located at 1 Hanover Place, St. Dunstan, Canterbury in the early 1880's, and all of his children are still with him. Emma, Adelaide and Roland.